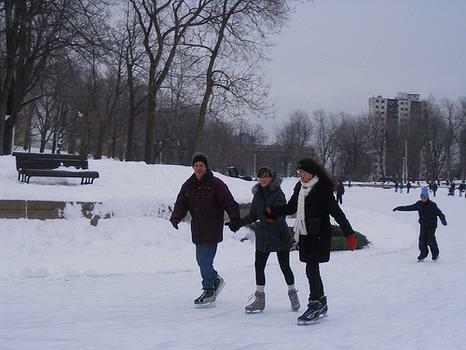 Located in the eastern part of the Plateau, the park is well-manicured and includes an artificial lake, bike paths, sporting facilities, and an outdoor amphitheater. Located in the eastern part of the Plateau, the park is well-manicured and includes an artificial lake, bike paths, sporting facilities, and an outdoor amphitheater. Very popular during summer.